What are Bath Salts? Are There Withdrawals from Bath Salts Use? "Bath salts" are the colloquial or street name for one of two synthetic drugs, Mephedrone and Methylenedioxypyrovalerone (MDPV), both of which are psychoactive drugs with stimulant properties. The body fails to adapt without repeated administration of bath salts, and numerous negative symptoms begin to occur. There is a paucity of evidence-based research assessing the behavioral and psychological effects of bath salts. As such, clinical reports of overdoses and user reports constitute much of the data on bath salts usage, dependence and withdrawal. Improved mood and cognitive function. An overall feeling of euphoria and stimulation, including sexual stimulation. These consequences occur because use of baths salts affects the central nervous system functions that control reward and movement (dopamine and norepinephrine). As with other drugs of abuse, quitting or rapidly decreasing the amount of bath salt usage in someone who has become dependent causes physical and psychological withdrawal. Not surprisingly, the intensity of the withdrawal symptoms correlates with the duration of bath salt abuse. Essentially, the body fails to adapt without repeated administration of bath salts, and numerous negative symptoms begin to occur, ranging from mild to toxic. Don't wait for an overdose to seek help for yourself or a loved one's dependence on bath salts. Call to speak to a treatment support team member about bath salt addiction treatment options, 24 hours a day, at 1-888-993-3112Who Answers?. There is a significant overlap in the negative effects of bath salts usage and dependence, and the physical and mental withdrawal symptoms. Reduced capacity for memory and cognitive function. 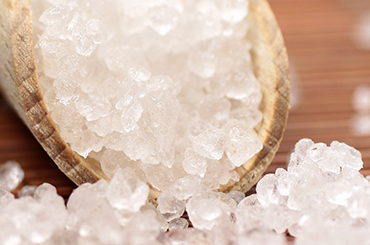 Violence and intense cravings for more bath salts are typical addiction withdrawal symptoms. As a consequence, recognizing when someone you love is dependent on baths salts and/or in withdrawal from their use can be exceedingly hard. Withdrawal from bath salts, like other drugs of abuse, is a process of returning an addicted individual's body to a state of homeostasis after artificially and repeatedly adding a toxic substance, thereby modifying physical and psychological function.Withdrawal is very difficult and extremely unpleasant.The stages of withdrawal mirror the frequency with which the toxic substance is excreted. Not all individuals addicted to bath salts react in the same way to their use, or indeed to their cessation of use the following are typical bath salts withdrawal symptoms, but each dependent individual will experience their own collection of negative effects. As mentioned above, some of these withdrawal symptoms are similar to negative effects of usage, including a propensity for violent behavior. Bath salts withdrawal is extremely serious, and in many cases, the extent of the bath salt addiction can be so debilitating that someone who is dependent is unable to stop usage without expert medical intervention and long-term behavioral therapy. As mentioned above, there is a lack of clinical research on this topic; so many of the existing recommendations are drawn from clinical practice. According to the Substance Abuse and Mental Health Administration (SAMHSA), bath salts treatment in general is similar to treatment for stimulant withdrawal. The steps involved in the treatment of bath salts withdrawal are similar to treatment for other drugs of abuse in that acute and life-threatening symptoms are addressed as a first priority. Typically, benzodiazepines (such as lorazepam or diazepam) are administered to help reduce withdrawal symptoms and the patient is closely monitored to address any increases in blood pressure, pulse rate, and temperature. Because psychosis is a common symptom of both baths salts use and withdrawal, and evidence of a pre-existing mental health issue, health care practitioners providing treatment are cautioned to conduct thorough assessments to try to distinguish the cause of the psychosis because the effective treatment response will likely differ depending on the root cause. Provision of counseling and psychosocial treatment is a critical component of treating withdrawal, and is usually sought in conjunction with addressing the physical withdrawal needs of someone in withdrawal. Bath salts withdrawal can be successfully treated as part of comprehensive treatment for dependence on bath salts. As with treatment for all substance use disorders, available bath salts dependence treatment ranges across a broad continuum of treatment settings, services and attendant costs. An individual's symptom severity and financial capacity. A trained medical professional's assessment of the need for pharmacological therapy. The existence of co-occurring mental health issues. The social system in which they operate that either supports or hinders their recovery. If financial resources are available, in-patient treatment is recommended, particularly for those individuals with severe bath salts withdrawal syndrome. The spectrum of in-patient treatment options is broad, and largely dependent upon the insurance coverage and/or financial means of the person seeking treatment for long-term recovery. Outpatient treatment, including partial hospitalization during the initial detoxification process, is a good option for individuals with mild to moderate bath salts withdrawal syndrome. Withdrawal from any prolonged abuse of drugs or alcohol is an arduous process. This is the case both for the dependent person, and for loved ones trying to be present to them during the withdrawal process. Withdrawal from bath salts is no different and because of the way in which this psychoactive stimulant can affect the brain, additional negative side effects can occur during this process. A particularly unfortunate feature of someone dependent on baths salts going through withdrawal can be a tendency towards violence. Being attuned and aware of this potential is critical, and is a key reason why attempting to handle a loved one's withdrawal without medical supervision is not recommended. To get help and access treatment programs that can help you or your loved transition from bath salts dependence, through detoxification and into long-term recovery, call 1-888-993-3112Who Answers? today. Knoll, J. Bath salts and herbal incense: Legal highs, medical lows. Psychiatric Times. May 25, 2012. Prosser, J et al (2012). The toxicology of bath salts: A review of synthetic cathinones. Journal of Medical Toxicology, 8(1), 33-42. Ross, E et al. "Bath Salts" Intoxication. N Engl J Med 2011; 365:967-968. SAMHSA. Spice, Bath Salts, and Behavioral Health. SAMHSA Advisory. Fall 2014. Volume 13. Issue 2. Substance and Mental Health Services Administration. Rockville, MD.